1. Click on the People button in the bottom left corner of the window. 2. 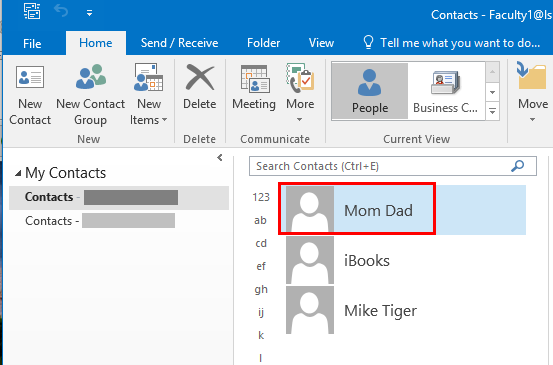 Select the Contact in the middle of the window that you want to add to a category. 3. Click on the Organize dropdown menu in the Home tab at the top right, then click on the category that you want to add the contact to.